The 10um filter socks will capture the dinos we can't see in the water? Wow. Great. Thank you for sharing. My Dino was appeared since I started dosing voka. I then stopped the voka dosing and it faked away. I keep my routine water change biweekly. Currently, I am running GFO reactor and dosing vinegar mixed with voka and RODI water. So far so good. got a source for the 10um filter socks? Yes, Ostreopsis is @ 40uM in size. Some species a little smaller but 10uM should catch them all. Hmm. How quickly does a sock like that clog and overflow? I get 2 days but I imagine it would be one day if you use the VSV method. Has anyone had dinos on rocks only with sand in the tank? 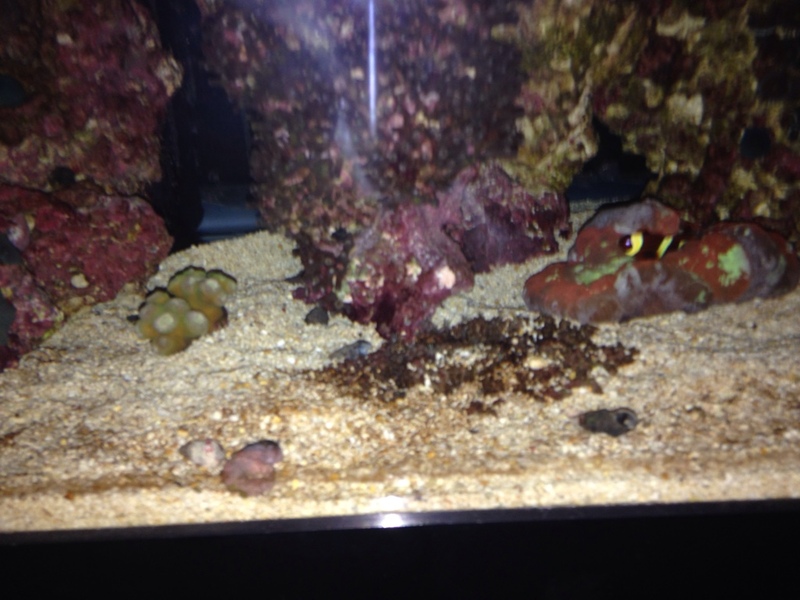 I have them on the glass only, with sand and rocks. Sorry to see this Dfree. Your Dino bloom looks identical the one I have fought. Do you know what type of Dino you have? BTW my initial bloom started when I added a Diamond Goby to my tank. Once that started I could never get rid of the dino. I ended up breaking the tank down and starting over. Thanks for the encouraging words. Ha! I think mine started when I added two giant pieces of dry rock in my tank. What methods did you try before you gave up? I need to actually explain my situation a little. I did actually defeat the dino before taking the tank down. The way I did this was turn off skimming and stop water changes. Basically I neglected my tank for 6 months. The only thing I did was feed the fish and topoff. 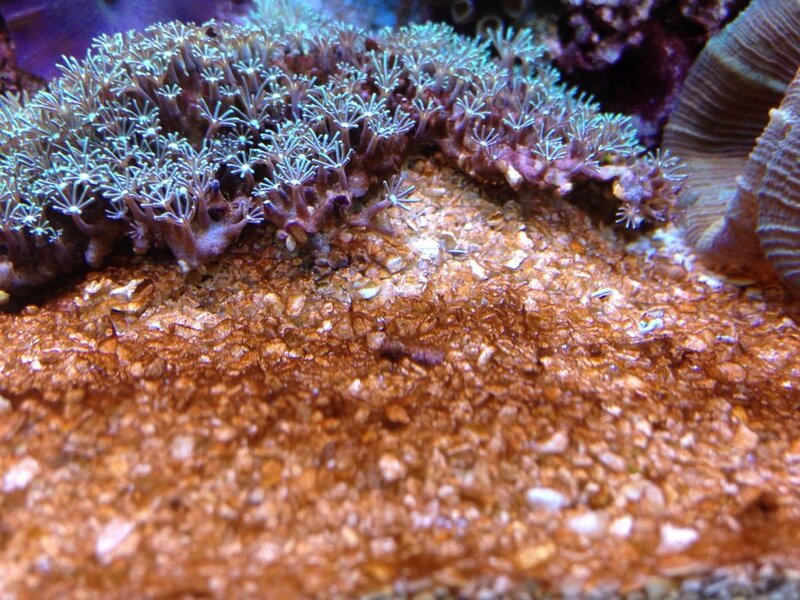 The unfortunate outcome was a loss of all SPS corals. I now have a new 260G tank that is around 3 months old. I re-used my rock and put new sand in it. Cycle was short. I now appear to have the same crap on my sand bed but I am hoping its because my phosphates are high (0.1). Right now I am not going to worry about it because its not that bad. Once I get my phosphates to a good range (0.05 - 0.02) and still have the issue I will worry. Right now I am waiting on a new skimmer that is properly sized. Once I get it I will run it along with Carbon dosing. Dfee, those kind of look like diatoms. Do they go away at night and return the next day after a few hours of light? Some do, some don't. 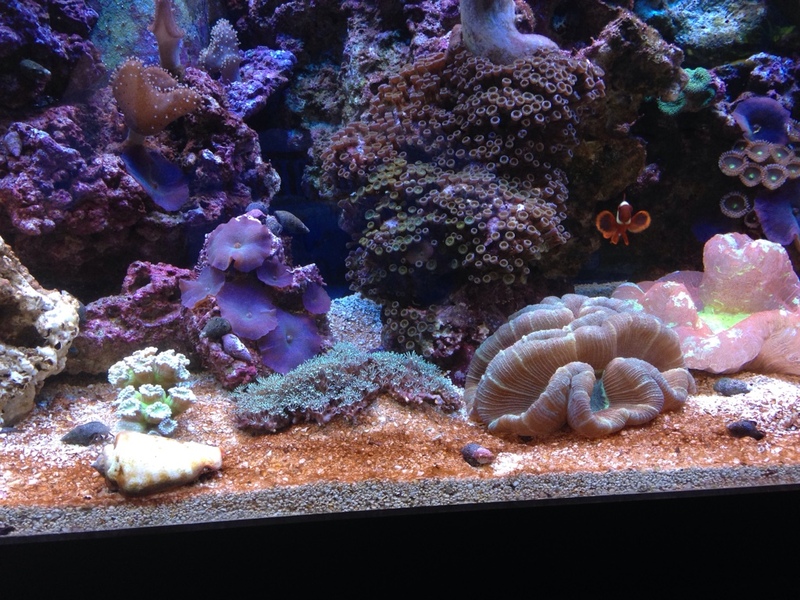 After removing skimmer, no water changes, and more feeding, I have gha, diatoms, Dino's, and cyano. The guy there actually mentioned a Dino Filter you can buy. I'm trying to find it on the internet now . Never heard of it before. The picture was taken just now about 1 hour before lights come on. I also did a siphoning 24 hrs before the pic was taken. So what's the consensus on siphoning? Leave the Dino's alone or siphon into filter sock in sump like I've been doing? Those have to be the same strain as what I have/had. Mine look identical. I bet if you don't siphon them and leave them alone to grow more they will then start to form strings that rise up and get bubbles. Dfee, I was where you are at now, I removed the sand bed to get past it, siphoned it out slowly over a week or so. I found it was futile siphoning the sand. Good grief! I guess I'll have to stop whinging about my tank issues now. That's unusual actually, most of us seem to have only dinos, or dinos and cyano. Do you have the typical 0 nitrates/phosphates? I don't see anything on a quick google. Maybe he meant diatom filter? Any 5 or 10 micron filter sock will catch dinos. They clog up within hours though. I've tried filter floss and it doesn't seem to help much. I use it and carbon when I'm scraping the glass to hopefully keep the toxins down. Can't hurt. Didn't seem to help me much. I agree with the people above who thought that not all dinos detach from the glass, and that they leave some kind of chemical marker/cyst to return to the same places. I looked at my tank in the dark and I still see dinos. There are definitely 'bad spots' where it's much worse. I tried changing the flow, too. No results. Probably species dependent.